On June 22nd at approx. 10:26 pm Deputies from the Seward County Sheriff Office were dispatched to North Hwy 83 to assist with a vehicle pursuit entering Seward County by Haskell County Deputies. The Sheriff Office took over the pursuit. The suspect driving the vehicle was a suspect in an Agg. 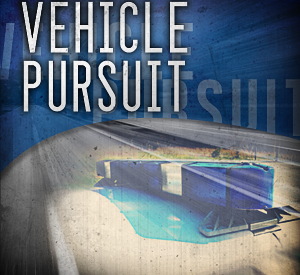 Battery and the vehicle was reported stolen in Finney County. The Sheriff’s Office deployed Stop Sticks and the run vehicle’s tires were deflated. The vehicle came to a stop at the intersection of 15th Street and Country Estates in Liberal. The suspect was taken into custody without incident. No one was injured and no vehicles except the suspects’ vehicle was damaged in the pursuit. No names have been released at this time pending court appearance. All suspects are incident until proven guilty in a court of Law.